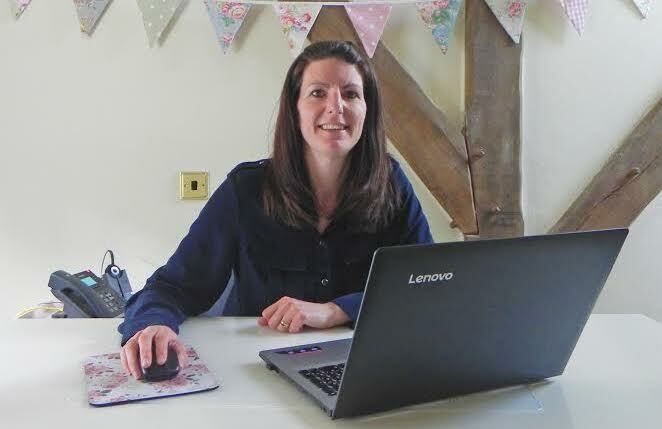 When Lisa Forde married and relocated to the Midlands she decide it was the perfect time to leave the security of a job and start her own business. Find out how she established Dotty About Paper while raising her family. My background is in the travel industry. I worked for several large companies, including Birmingham Airport and Thomson Holidays, after having studied a management degree and then an MBA. After getting married and taking a round-the-world honeymoon, my husband and I decided to move closer to my family in the Midlands. This was the perfect time to start my own business. When I had my first son, I didn’t really take any maternity leave. I naively thought that I would work while he slept during the day; I also planned to work extra in the evenings and on weekends. I thought the juggle would be a smooth one – how stupid was I?! Sleep deprivation, constant breast feeds, and nappy changes were not factored in; the plan wasn’t such a smooth one! Luckily I had a small team of staff, and orders could be processed without my direct involvement. As time went on, I hired additional staff and delegated more. This helped the juggle between business and children work better for everyone. I would spend my time working on the business rather than in it, and having less time meant I had to hone in on whatever tasks were most important. When planning for the arrival of my second child, my plan was rather more robust! From an early age, I had always wanted to run my own business, but setting up a stationery business came about for several reasons. Firstly, I wasn’t particularly wowed by my own wedding stationery, which had cost a lot of money. Secondly, my husband – who’s Irish – always commented on how many cards people in the UK send to each other. Finally, the fashion of making cards was big around the time I was looking to set up my own business. A long train ride, a brainstorming session with a pen and paper, and the idea of Dotty About Paper was born! Initially, I purchased a variety of craft items to make some cards and showed them to friends and family. They, of course, loved them – but that wasn’t what I wanted. I needed harsh, honest feedback so that I could improve my product and pricing. I took a market stall in our base town of Bridgnorth each Friday to gain feedback (the stall ran for over two years, which wasn’t in my original plan!) and used this information when designing our first website. Confident of achieving my goals, I gave up my full-time job, took a small part-time job for a few months, and forged ahead. Dotty About Paper offers high-quality products for all of life’s special occasions at very reasonable prices, with quick turnaround times, five star ratings from our customers, and free UK delivery. Primarily females aged 25-55. But because we offer a range of products that cover so many ages and occasions, the audience is almost everyone! Locally, we work with schools and businesses, from which we get many recommendations. Further afield, we are prominent on Google and Amazon. We are fortunate to get lots of repeat business and lovely reviews from our customers. Each year, this feedback snowballs and our business grows. What’s been your most successful marketing? It was winning #SmallBusinessSunday, which is run by Theo Paphitis. We were chosen by Theo as one of six Small Business winners in September 2014. This win meant that he tweeted about our business to over 500,000 followers. I met Theo and now attend a networking event hosted by him each year, where I meet with other like-minded businesses. We gained lots of PR from this win and have made the most of spin-off opportunities which come from the networking events. In 2012, Google changed its algorithm, which meant that many of our rankings dropped. We were less visible to customers. This change occurred overnight and we had to spend much time (and money!) reworking our business model and improving our rankings. We were fortunate enough to turn the situation around, but other businesses were less fortunate. I’m incredibly proud of the new (but very, very old) building in which our business is now based. 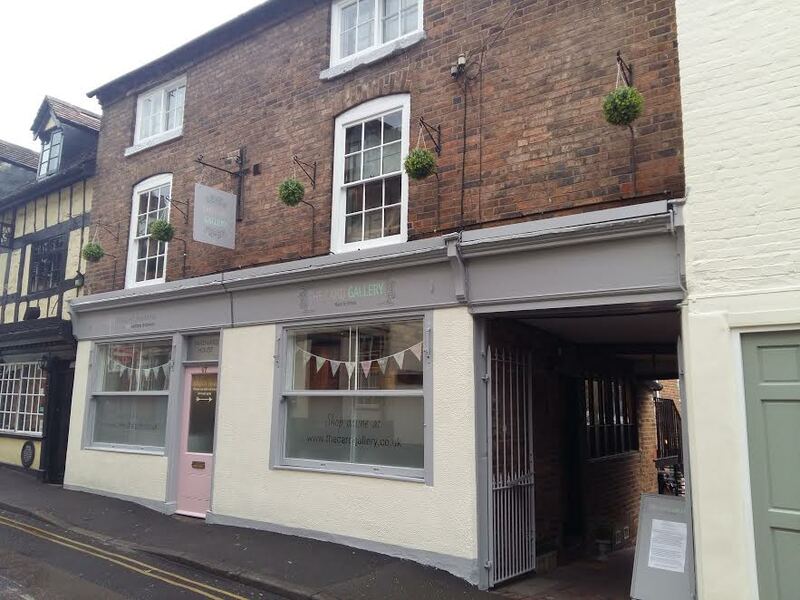 Last summer, we purchased a Grade II Listed building which oozes charm and character. It gives us lots more room and scope to grow into, which is fantastic. We like to show quirky corners of our new business home on social media and love the fact we can decorate it with bunting and flowers! Work has always been an important aspect of my life. I’m keen to grow and develop myself and my business so that I can offer employment and support local charities. I also believe I’m setting an example to my children – they understand that we must work hard and try our best in order to achieve our goals, even when the going gets tough. People who have worked hard and smart to achieve their goals, rather than being born into success. It’s easier since September when my youngest started school, giving us all a pattern and schedule to follow, but it’s still a juggle. There are after-school clubs which are often changing, the odd day when one of the boys is poorly and off school, and lots of events to attend – assemblies, school plays, and sports days. Often I can move some of my work tasks to an evening or weekend so that they’re always completed, but if my childcare arrangements go pear-shaped and I’ve a meeting to attend, then my husband will step in to help. I’m expecting the juggle to remain tricky until the boys get older, but it’s much easier than when they were babies. If you have a passion and a plan, just do it… quickly! Don’t keep putting off the idea for the perfect time, as conditions will probably never be perfect. Have self-belief and keep going – it’s likely that you will have many knock-backs and hurdles to jump, but keep going. That’s just part of the journey to your dream destination. Make a plan and refer to it regularly so that you don’t lose sight of what you want to achieve. Remember to keep tweaking it as ideas, your marketplace, and your product change. Always try to work on the business, rather than in it. Good luck! You can find out more about Dotty About Paper on their website.